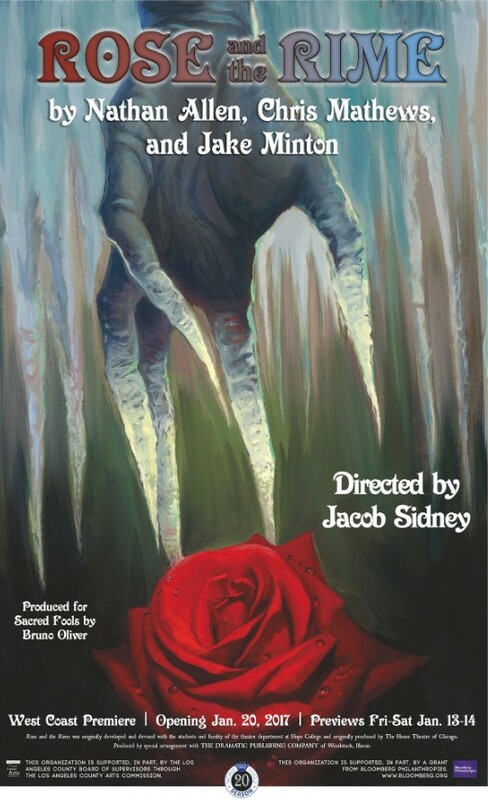 jacob sidney: Rose and the Rime opens Friday at Sacred Fools! Rose and the Rime opens Friday at Sacred Fools! My first experience of Rose and the Rime came in a reading series held by Sacred Fools about a year ago to consider scripts for the current season. Literary Manager Angela Sauer brought us the script, and I was immediately captivated by its necessary theatricality and emotional sweep. It's new territory stylistically for the Fools, and I'm grateful to the Artistic Directors for entrusting me with the opportunity to bring it to life. There's so much going on underneath the dialogue, and that's the kind of theatre that excites me. It really opens up exploration in the process, and we were able to train together as an ensemble while discovering the daily lives of the citizens of Radio Falls, and the brutal environment in which they work to find a little happiness each day. I'm really excited to share our production with audiences, and I hope you can make it out soon! Ps... Sacred Fools is now covering your fees for on-line pre-sales, so book your tickets today! Also: I'm now a published author! Daddy Drinks began when six friends (Henry Dittman, Padraic Duffy, Victor Isaac, Mike Lanahan, French Stewart, and me) needed advice and comedy in the middle of the night while trapped at home by their offspring. 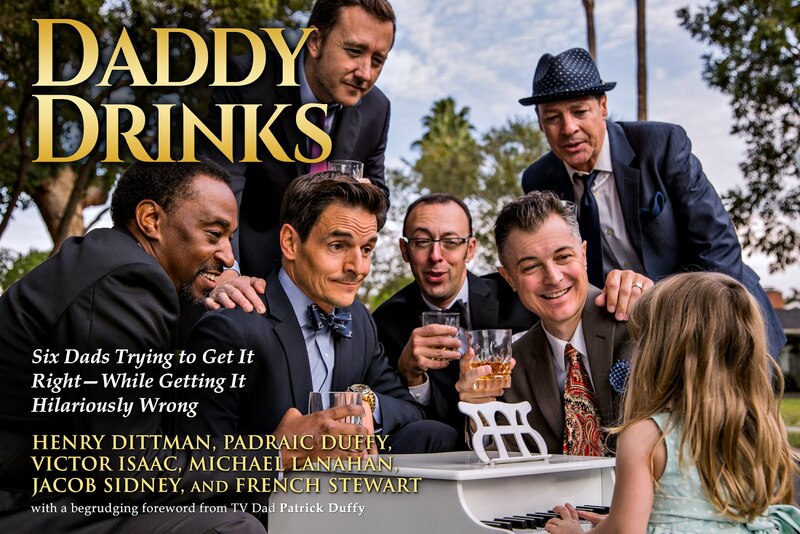 It grew into much more, and now pre-sales are live at Amazon and other on-line retailers for a Father's Day delivery! Finally, I'm immensely pleased to be on board with Ojai Playwrights Conference as Marketing Director for their upcoming 20th Anniversary Season, after running their social accounts in 2016. Keep an eye on @ojaiplays on Facebook, Twitter, and Instagram as we renew our commitment to developing theatre classics for the next hundred years.